Home » Community Happenings » Upcoming events & classes from our friends at ECO City Farms! Upcoming events & classes from our friends at ECO City Farms! Are you interested in learning about urban agriculture? 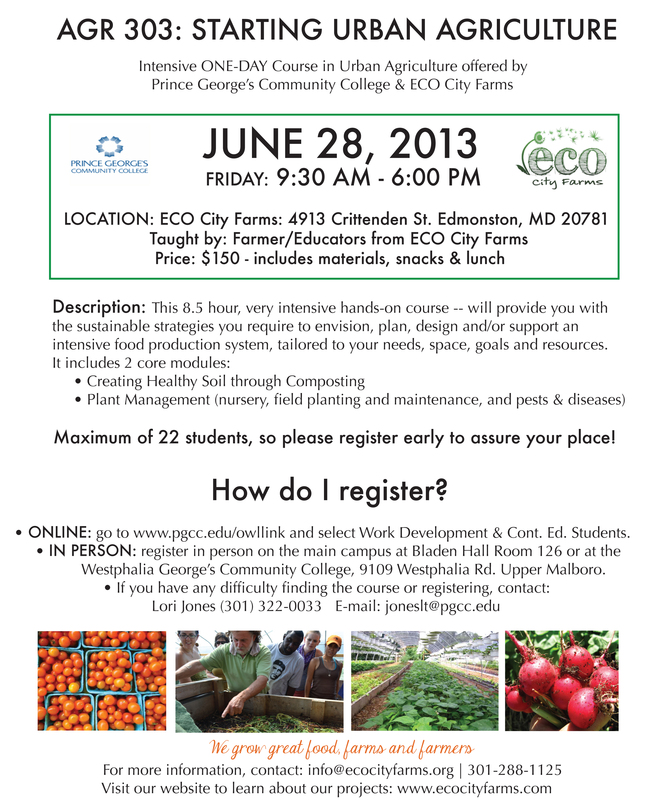 ECO is offering a 1-day intensive class! Click flyer for details. 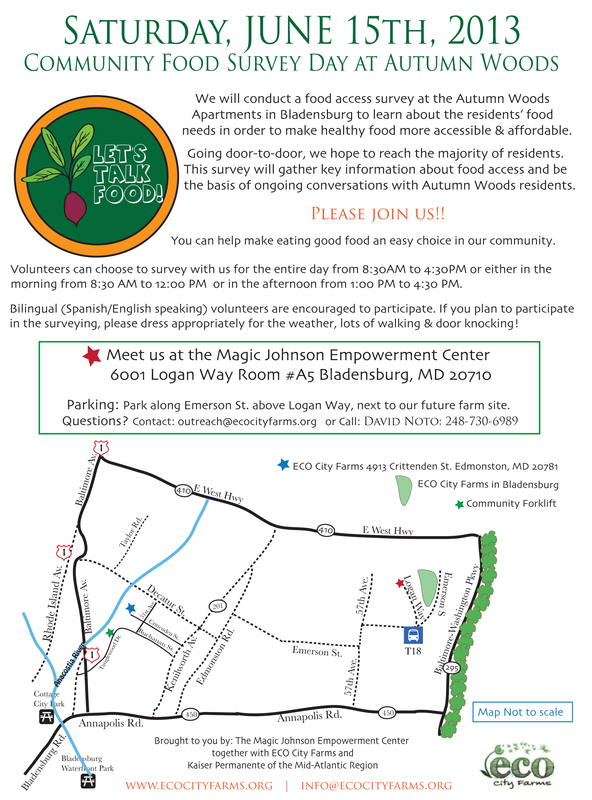 Volunteer to help ECO conduct a Food Access Survey! Click flyer for details.